What better place to spend the evening of Friday the 13th than in the library? 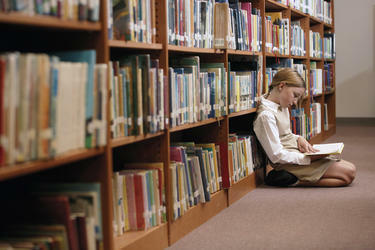 Teens ages 13 and over are invited to have fun in the library. You’ll have lots of directed activities such as games, bashing B-movies, making munchies, or just talking about stuff. You’ll need to have reliable transportation available at 10:00 p.m.
There’s no cost for this event, but we will need all participants to bring a permission slip signed by their parent or legal guardian. The permission slips can be found at the library—just ask at the loan desk. We’ll need your slip, signed by a parent or legal guardian, by 5:00 p.m. on the day of the lock-in. For more information call the library at 315-986-5932.